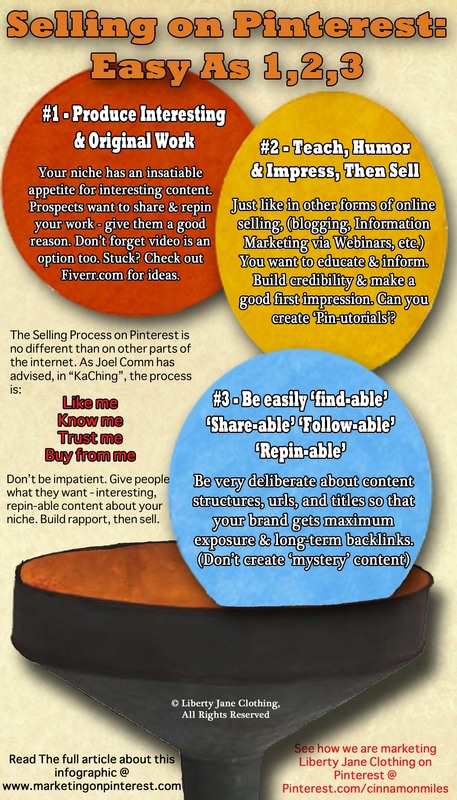 We’ve got a new infographic for you about selling on Pinterest. I’ll put the infographic out, then write 3 (or so) blog posts about each phase in this selling process. Enjoy, (and retweet, pin, and digg this as appropriate – thanks! ).